I think these might well be my favourite (and most expensive) online purchases so far. Paid 14 USD (instead of I think, 8USD?) 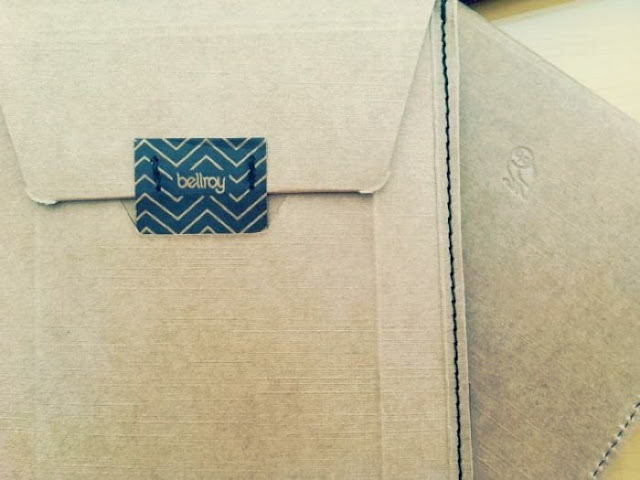 for express mail and I received my purchases from Bellroy in 4 days. The clean, and elegant website is very much reflective of their style. It translates all the way down to their packaging. 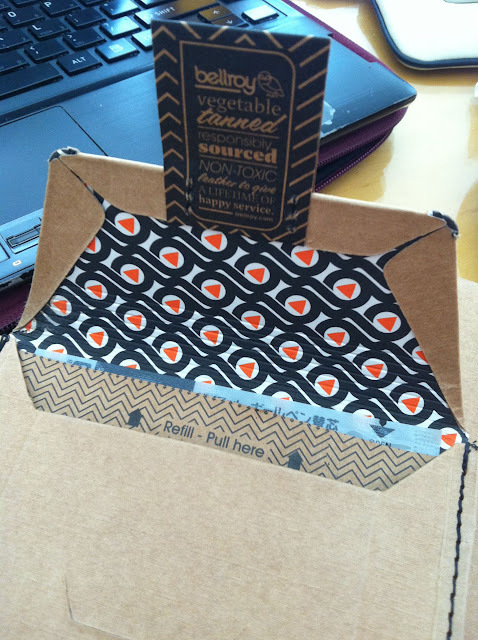 A stitched cardboard envelope to protect the products within. I love how they made a cardboard flap instead of a sticker. It annoys me to no end when I rip off stickers and some of the cardboard/paper comes off with it. Love the graphic print lining. These envelopes are made to last! The refill is for the little pen that comes inside the passport sleeve/ travel wallet. So I got one passport sleeve and one travel wallet. Both are meant for passports but the latter can store more things like money and cards. 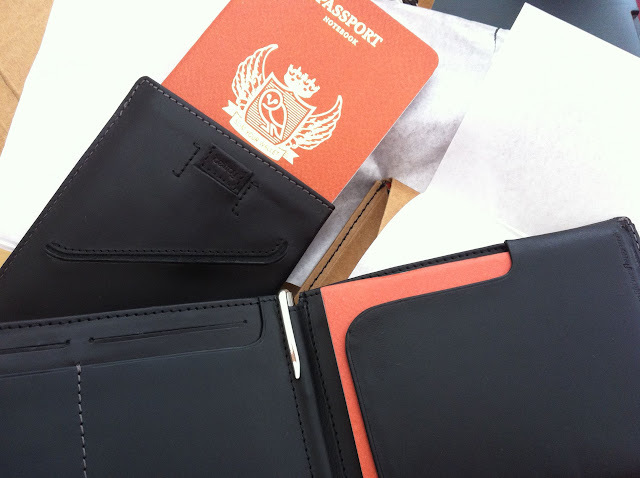 Dad pointed out that your things are concealed inside the wallet unlike the passport sleeve. Our passports are a little thick though so both come across as a little tight but they’re leather so I’m expecting them to stretch a little as time passes. The stitching is great, even and straight. Love the classy bellroy imprints, smooth leather and thin design. I decided to get a passport sleeve because I use a longchamp bag for traveling (waterproof, mine has been through torrential rain, and there’s a zip!) and there are no compartments inside. It was a bit of a nightmare in Myanmar when I had to fill in a couple of custom cards, and keep my passport and plane ticket at hand. Couldn’t manage my clutter haha. I prefer the sleeve to the wallet because the wallet… is a guy’s wallet literally. It doesn’t have a clasp to keep it together and I don’t really like how floppy it is. I’m not too worried that things will fall out from the sleeve because the stitching makes it quite tight. Takes up less space too. I already have a travel wallet so the extra space in the travel wallet is not something I need anyway. I think it’s cheaper (by 20-30 sing dollars) if you order your product directly from bellroy instead of other singapore-based online shops. The shipping cost is fixed so you can buy a few and it’ll still cost the same. I highly recommend paying the small premium for express post because regular post can take up to 3 weeks gosh!